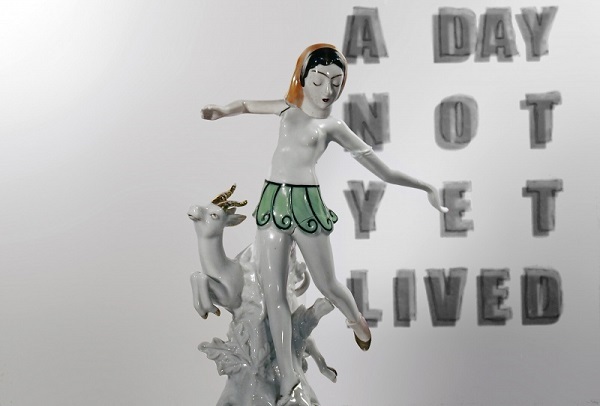 A Day Not Yet Lived, is Volkan Aslan’s inaugural solo exhibition at Pi Artwork, London. For the exhibition, Aslan will create an ambitious site-specific installation that will act as an unconventional platform for his well-known broken figurine series. A body of work that deals with subjects that the artist has been interested in exploring since his childhood, and that was first exhibited as part of his solo exhibition at ARTER / Space for art, Istanbul, Turkey. Driven by nostalgia for his teenage years, the artist regularly sources and collects ceramic ornaments that remind him of the statuettes that where prominent in the homes of the village where he grew up. The artist gives new meaning to these found figures by shattering them, compiling the broken pieces, and then reconstructing them into a series of hybrid configurations. By amalgamating parts from various human and animal statues, Aslan creates nameless characters with jarring characteristics: a roaring lion’s head atop the body of an exotic parakeet or a braying stag atop a slender female flower picker. The artist uses this procedural template of breaking and fixing as the mechanism for the creation of new and unexpected beings. 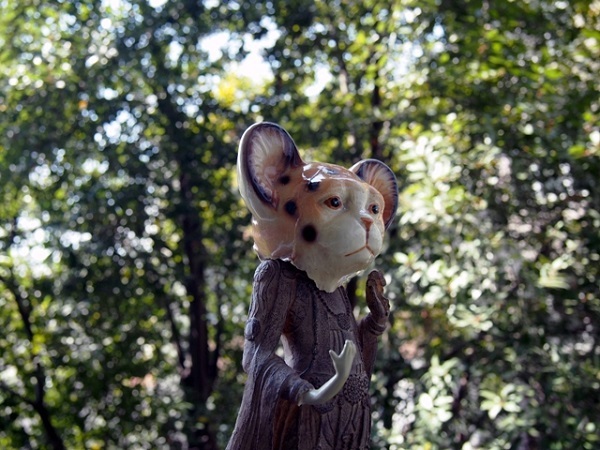 For A Day Not Yet Lived, the artist has produced creatures that appear to be straight out of folk legends or mythology, yet backstories for these figures do not actually exist. They are brought into existence with no scripted journey and the artist deliberately leaves the viewer to shape their stories and interact with them free from judging eyes and minds. For more info, please visit Pi Artworks.